IT Cements Madras Cements' Success:Dharmakrishnan A.V. Madras Cements isn't your typical manufacturing company. It took to IT in 1984 at a time when even contemporary enterprises weren't tech-savvy. Its current CEO, Dharmakrishnan A.V., is a self-confessed tech enthusiast. And that makes him stand out among CEOs of old-economy companies. Today, with over 30 years in the company, Dharmakrishnan hasn't changed much. His undying faith in IT has ensured that he has the ability to monitor everything from his iPad--in real-time--from productivity in his manufacturing facilities to sales of finished products. Under his leadership, the flagship company of the Ramco group has generated the highest average EBITDA per tonne of cement produced in the industry at Rs 1,190. That's 19 percent higher than its nearest rival. In this interview, he talks about the challenges in the cement industry, and why he believes IT can tackle them. CIO: You joined Madras Cements 30 years ago. What has changed since then? When I joined Madras Cements in 1982, it was a very small company with a turnaround of Rs 50 crore. We were a regional player with a capacity of around 5 lakh tonnes, catering to four districts each in Tamil Nadu, and Kerala. Now, we are at 14 million tonnes. Even though we are yet to be an all-India player, we are the second largest player in South India and among the top ten in India. We have plans of reaching 20 million tonnes in four to five years. Madras Cements also holds the distinction of being among the first few companies to implement IT systems way back in 1984. We deployed computerized invoicing and accounting with COBOL and Focus systems. From the very start, we wanted everything to be automated. We also had the urge to be pioneers in the adoption of technology. Which is why, we keep assessing the relevance of the latest developments in IT for our business. We try and make the best use of systems not only to enhance our processes, but also in every sphere of running the enterprise--from limestone quarrying to dispatches. Madras Cements is considered one of the most well-managed companies as far as cost is concerned because we have IT systems in place. We always act on information and there is no need to rely on anyone's gut feeling. And even if it is a decision based on gut feel, it has to be backed by information because numbers don't lie. CIO: Your thrust on IT is unlike other manufacturing companies. How has IT helped Madras Cements? Madras Cements has always held its IT department in high regard and has made huge investments in IT. At any point of time, we have 20 to 30 IT projects that extend to every part of the company. We started with report generation and are now at a level where our analysis is also aided with technology from Google. At any given point in time, I know the quantity of cement sold in any particular street. I can see who my competitors are in an area and analyze the potential of a particular location. Also, our sales representatives have been provided with devices that give them real-time information. It helps them assess their business in terms of dealer performance and responsiveness, understand their stocks, and help sales managers take stock of their team's performance. Our dealers can book orders online. A dealer who uses the online system to book orders is bound to have a healthy stock and is assured of timely payments. This also helps gauge his performance on pre-decided parameters. Today, I expect my IT department to train people to use our IT systems. Our entire operation depends on IT products developed with the help of Ramco systems. The IT team should consistently demonstrate the advantage of using IT and drive adoption. CIO: Does it also help you track the performance of your facilities and avoid downtime? Initially, the process of tracking downtime was manual and relied on someone's assumptions. Today, we have an excellent IT system that gives us clarity on the equipments that are running and provides us with details like their speed and consistency. If there is any variation from the standard deviation of 0.5-0.6 percent--from the set parameters--the response teams are alerted and can enquire the reasons for it. If the variation is high despite these efforts, then an alert is sent to senior people at the location and also to the corporate headquarters, allowing us to take immediate action. CIO: And does IT play a role in solving logistics problems? Cement is a high-volume and low-value commodity. So, at times, the distribution cost may be higher than the manufacturing cost. Even in terms of freight, cement manufacturers draw competition from unusual aspects like a sugar factory in the vicinity which would transport sugar in 50kg bags--each bag worth Rs 5,000-6,000. Whereas, a similar 50kg bag of cement will only have a value close to Rs 300. So, while the sugar guys can afford to pay close to Rs 1,000 per bag for freight, the cement players can barely manage to pay Rs 20-30 per bag. We have to compete with them during peak demand. We decided to get dedicated trucks that run exclusively for us by financing some of them and giving out interest free loans. Also, since Madras Cements is handling multi-location plants with distinct manufacturing costs, we figured out the total costs for select destinations with the help of our information systems. The dispatches then take place based on that information. CIO: How does IT help you meet customer expectations? The quality of cement and service to our dealers are the most important factors in our business. In that context, IT helped us realize that we were de-growing in an area where we are traditionally very strong. Our systems helped us identify the dealers who were de-growing and the rate at which this was occurring. We realized that dealers expect delivery within five to six hours of placing an order. While this is possible, dispatching smaller orders of 8-10 tonne is a wasteful expense until another dealer from the same area also places an order. In that case, we can use larger trucks of 18-20 tonne capacity. But waiting for orders could cause an indefinite delay. There was no control over whom the lorry driver would first deliver the order. By the time these decisions were taken, it would be five to six days since the first person placed the order. Within 24 hours of realizing the need, we deployed LCVs and we are now growing by 25 percent in the area. That's why our information system is the backbone of our operations. CIO: What's your strategy behind increasing capacity utilization to 90-95 percent? We have identified markets where there is a scarcity of cement. Our strategy is to move semi-finished goods to a location where other raw materials are available and manufacture cement at such locations. Clinker, for example, is a semi-finished product. In the case of fly ash-based cement (ash produced during combustion of coal), almost 65 to 70 percent is clinker and around 25 to 30 percent is fly ash. So, we move clinker to the place where fly ash is available and grind the cement and sell it in nearby locations. This also helps drastically reduce transportation costs. So, moving gypsum or even slag from a place like Vijayawada, where it is abundant, to a location where clinker is produced and then moving the finished product back to Vijayawada--because the demand there is high--is wastage of transportation. Instead, we move clinker to Vijayawada and grind it there, saving space and costs of transporting slag or gypsum. We currently have three grinding units and have plans of opening up three or four more units. CIO: Vijayawada falls in A.P. which is politically unstable. How do you cope with decline in demand? We have always anticipated a situation where the demand for cement will be much less than its supply, especially as many companies are planning to invest in Andhra Pradesh (A.P.). We also need to realize that within 10 years, only four states will be able to produce incremental capacity of cement. A.P., Rajasthan, and Gujarat have additional resources and incremental capacity can come only from these places. We have no alternative but to rely on the raw materials from A.P., produce clinker, and grind it elsewhere. This is why we have put up a grinding unit in Bengal, close to a thermal station where we can acquire fly ash at cheap rates. That unit is the farthest grinding unit from a clinker source. Our capacity in A.P. is three million tonnes of which one million will be taken to Bengal for grinding. In a place like Tamil Nadu, the incremental capacity can, at best, be one to 1.5 million tonnes because there's only that much limestone available in the state. There's very little limestone in South Karnataka, whereas in the western belt near Belgaum, it is available but that has now moved to serve Maharashtra. CIO: How do you plan to change your image as a player in the South Indian market? While we are pioneers in the adoption of technology, our promoter's philosophy with respect to expansion is to grow with internal accruals. In the south, we are able to control our costs and compete strongly. Being a raw-materials-based industry, we are looking for availability of raw-materials in different areas. We are seriously considering one or two places outside our traditional market. If we are successful in getting to those, then we will go outside our market. Else, we will try to expand within our market. That said, there is enough scope for growth in the south. Even though the capacity is higher than consumption, I am convinced there is scope for improvement in our market share here. 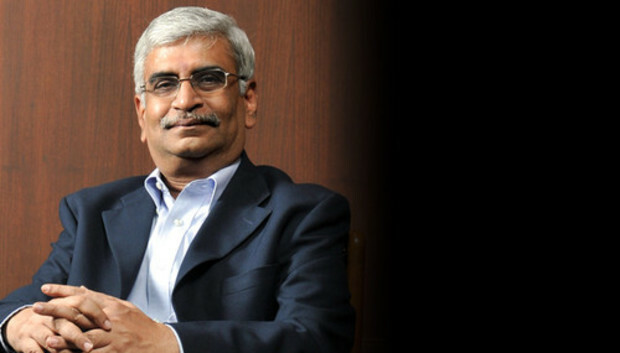 Anup Varier is a senior correspondent for CIO India and ComputerWorld India. Send your feedback to anup_varier@idgindia.com. Follow Anup on Twitter at @WearyWarrior.